We’d love your help. Let us know what’s wrong with this preview of سوءظن by Friedrich Dürrenmatt. بازرس برلاخ، بستری در بیمارستان، پی میبرد که پزشکی از دار و دستهی جنایتکارهای نازی اکنون در سوییس در مقام پزشکی صاحبنام به جنایتهایش ادامه میدهد. برلاخ که با مرگ فاصلهای ندارد باید تکلیف این سوءظن را روشن کند. دورنمات در این رمان شخصیتهایی آفریده است که گویی از دل افسانهها و اسطورهها بیرون آمدهاند. An alternate cover for this isbn can be found here. To ask other readers questions about سوءظن, please sign up. سؤظنِ بِرلاخ کاراگاهی کارکشته و در آستانهی بازنشتگی به یک پزشکِ مورد اطمینان که گمان میبره در گذشتهش در اردوگاههای نازی ها مشغول به سلاخیِ انسان ها بوده! و ادامهی داستانِ جذاب این رمانِ کوتاه. رمان به اندازهی «قول» مشهورترین اثرِ پلیسیِ دورِنْمات برام جذاب نبود. امّا توصیف شخصیتِ کاراگاهی از دنیا بریده، بدونِ زندگی و آرمانِ شخصی امّا هدفمند، شخصیت منفیِ حقیقتاً هولناک، باهوش و بینظیر باز هم و در آخر صحنه های بی نقصِ رویاروییِ این دو همه باعث شدن که این کتاب تبدیل به یک خاطرهی خوب بشه برام. حرف های سؤظنِ بِرلاخ کاراگاهی کارکشته و در آستانه‌ی بازنشتگی به یک پزشکِ مورد اطمینان که گمان میبره در گذشته‌ش در اردوگاههای نازی ها مشغول به سلاخیِ انسان ها بوده! و ادامه‌ی داستانِ جذاب این رمانِ کوتاه. رمان به اندازه‌ی «قول» مشهورترین اثرِ پلیسیِ دورِنْمات برام جذاب نبود. امّا توصیف شخصیتِ کاراگاهی از دنیا بریده، بدونِ زندگی و آرمانِ شخصی امّا هدفمند، شخصیت منفیِ حقیقتاً هولناک، باهوش و بینظیر باز هم و در آخر صحنه های بی نقصِ رویاروییِ این دو همه باعث شدن که این کتاب تبدیل به یک خاطره‌ی خوب بشه برام. -تعداد دوزخ‌ها خیلی بیشتر از آن‌هایی است که دانته فکر می‌کرد و هیچ کدامشان را هم ندیده بود. بدون این که از ما بپرسند , پرتمان می کنند در این خراب آباد , نمی دانیم برای چی! نشسته ایم و خیره ایم به کهکشان , عظمتی از هیچ و عظمتی از همه چیز, اسراف بی معنی. اخلاقیات به نظرمان سودآور نیست و سودآوری به نظرمان اخلاقیات است. Un libro molto intenso per la passione con cui viene affrontato il tema della giustizia e della possibilità che esista un'etica "umana" distinta da quella religiosa. Sembra una questione ormai superata, su cui molto si è dibattuto, ma il libro (pubblicato nel 1951) si confronta con l'Olocausto e i Gulag sovietici. L'autore è molto chiaro su un punto: non esistono popoli buoni e cattivi perché, se le condizioni lo consentono, si può passare da una categoria all'altra. L'unica differenza è tra tor Un libro molto intenso per la passione con cui viene affrontato il tema della giustizia e della possibilità che esista un'etica "umana" distinta da quella religiosa. Sembra una questione ormai superata, su cui molto si è dibattuto, ma il libro (pubblicato nel 1951) si confronta con l'Olocausto e i Gulag sovietici. L'autore è molto chiaro su un punto: non esistono popoli buoni e cattivi perché, se le condizioni lo consentono, si può passare da una categoria all'altra. L'unica differenza è tra torturati e torturatori, tra potenti e vittime, tra la capacità di vedere sempre l'umanità nell'altro e la ricerca egoistica del proprio interesse danneggiando altre persone. Le questioni più filosofiche si incrociano con le scelte politiche della Svizzera che rimanendo neutra durante la seconda guerra mondiale ha anteposto il proprio bene a una posizione chiara contro i torturatori. L'autore condanna questa scelta (e la politica successiva che non si pone nuovi valori) ma, allo stesso tempo, riconosce che tale posizione ha risparmiato agli svizzeri le mostruosità della guerra. It does have thrillerish elements, but actually it feels more like a stage play by Durrenmatt, with long monologues from each of the main characters. Really interesting moral dilemmas though and discussions of beliefs and human nature, particularly relevant in the post-WW2 world of nihilism. یک داستان نیمه پلیسی. یک پلیس پیر در آخرین روزهای کارش به یک دکتر شک می کند. چند سال از پایان جنگ دوم جهانی گذشته و پلیس فکر می کند که این دکتر یکی از دکترهای مشهور شکنجه گر در اردوگاههای مرگ نازیهاست. این کتاب و همین طور "قاضی و جلادش" از همین نویسنده و مترجم و ناشر در قطع جیبی چاپ شده اند. از دورنمات کتاب قول نیز با ترجمه عزت الله فولادوند و از انتشارات طرح نو منتشر شده است. This story begins as a kind of detective, with the Swiss inspector Bärlach in the leading role again. From the previous book, "The judge and his executioner" we already knew that Bärlach was terminally ill and only had one more year to live. We now see him immediately after a major operation, recovering in a hospital. But the blood creeps where it cannot go, and still on his hospital bed the inspector gets intrigued by the search for a former Nazi doctor. It is quite amusing to follow Bärlach's This story begins as a kind of detective, with the Swiss inspector Bärlach in the leading role again. From the previous book, "The judge and his executioner" we already knew that Bärlach was terminally ill and only had one more year to live. We now see him immediately after a major operation, recovering in a hospital. But the blood creeps where it cannot go, and still on his hospital bed the inspector gets intrigued by the search for a former Nazi doctor. It is quite amusing to follow Bärlach's way of thinking, and to be completely swallowed up in his growing suspicion. But unfortunately, in the second part, the story takes a rather unlikely turn. Bärlach is admitted to the hospital led by the suspect doctor. He is quite sure that he will be able to expose the man, or rather, that he will expose himself. But for some reason Dürrenmatt is moving away from the path and his story turns into a grotesque, with the human evil in the leading role. All kinds of repulsive figures emerge: a murderous dwarf, a horrible old woman that before his eyes turns into a handsome appearance, a religious-fanatical nurse and finally the suspected Nazi doctor himself, who in a very long argument relates his nihilistic beliefs for pages on end. It seems as if we ended up in a narrative of E.T.A. Hoffmann: the 'gothic' elements are all around. And then finally, there’s the very weak ending of this story. It is 1948 in Bern, Switzerland and Chief Inspector Bärlach, just days away from retirement, is recovering from surgery that confirms he has, at most, a year to live. He reads a story in Life magazine about a sadistic, Mengele-esque concentration camp doctor who performed surgeries without anesthesia. The only known picture of the doctor, even though it just shows his eyes, causes Bärlach’s doctor to react with shock, setting off an unpredictable chain of events. As in The Judge and his Executio It is 1948 in Bern, Switzerland and Chief Inspector Bärlach, just days away from retirement, is recovering from surgery that confirms he has, at most, a year to live. He reads a story in Life magazine about a sadistic, Mengele-esque concentration camp doctor who performed surgeries without anesthesia. The only known picture of the doctor, even though it just shows his eyes, causes Bärlach’s doctor to react with shock, setting off an unpredictable chain of events. As in The Judge and his Executioner, Bärlach tries to orchestrate the action, even though he is in a hospital bed during the entire course of the story. But this time he loses control of events until a mysterious friend comes to his aid. My favorite passage in this story is when Bärlach, whose life is devoted to seeking justice, describes his philosophy of life. “We should all be Don Quixotes” with “a little heart” and a “kernel of reason” who fight “not against windmills” but “against ogres of brutality and deceit.” (1) This conversation alone makes this short novel a worthwhile read. Translated into English most recently as Suspicion (not sure how earlier translators decided upon The Quarry), this is the second and last of the Inspector Bärlach mysteries. If you choose to read these two books, be sure to do so in order. I suspect that film maker David Lynch was greatly inspired by Bärlach and the cast of eccentric characters that filled his world. I liked this, but not as much as Friedrich's first detective novel, Der Richter und sein Henker. In fact, I don't think this one is a detective novel at all, but more like a thriller. The novel features Komissär Bärlach, Friedrich's indomitable detective from the first novel, and starts where we left off. This is in a hospital bed, and Bärlach is told he has another year to live, when he gains the unshakable suspicion that the much respected head of a local clinic is in reality a Nazi war crimin I liked this, but not as much as Friedrich's first detective novel, Der Richter und sein Henker. In fact, I don't think this one is a detective novel at all, but more like a thriller. The novel features Komissär Bärlach, Friedrich's indomitable detective from the first novel, and starts where we left off. This is in a hospital bed, and Bärlach is told he has another year to live, when he gains the unshakable suspicion that the much respected head of a local clinic is in reality a Nazi war criminal. I am not going to spoil the fun for you, but half-way through, the novel develops into something more akin to an Alfred Hitchcock thriller than an Hercule Poirot mystery. And there would be nothing wrong with this as such, but half-way through something else changes: Bärlach seems to lose his sharply penetrating criminal mind and turns into a powerless old man, and I did not like that transformation. I did not like it because it felt oddly out-of-character; there was no obvious reason why our protagonist should allow himself to become powerless, and indeed he did not succeed in freeing himself from a predicament in the plot through his own devices, but came to rely entirely on luck, and on the unplanned assistance of others. Emekli ve sağlık sorunları yaşayan bir komiser, bir gün bir derginin kapağında "Nazi kamplarında, narkozsuz ameliyatlar yapan" Nehle adında bir doktorun resmini görür. Kitap aslında konu itibariyle oldukça gerilimli bir hikayeye sahip, lakin sancıları olan ama bir türlü doğuramayan bir kadın misali, o etkiyi yaratamamış anlatma kısmında. Another Inspector Burlach and another exploration of evil versus good and belief versus nihilism. The showcase this time was Inspector Burlach goes in retirement and while dying seeks to unmask a war criminal running an upscale clinic in Zurich. A unique enjoyable read as how often do you get a philisophical polemic with a crime wrapper. I did think that in contrast to the judge and executioner the story seemed like much more of an excuse to get into the issues as opposed to an essential part. 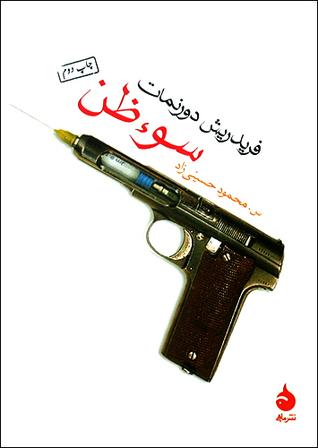 داستان کتاب جالب بود و دوست داشتم. اینکه چطور یک سوءظن ساده که به مرور قوی می شود، بازرس بازنشسته و بیمار را ترغیب می کند دنبال درستی اش برود. اینکه تصور می کند به زیرکی اقدامات درستی را انجام داده است، اما ناگهان اسیر زرنگی کسی دیگر می شود. این دومین کتابی است که از فریدریش دورنمات خواندم و تصویری که از یک بازرس پیر و حتی یک جنایتکار جنگی که عقاید فلسفی جالبی دارد، نشان می دهد، دوست داشتم. Ein sehr tolles Buch! Komissar Bärlach ist hinter einem Chirurg her, welcher in einem Konzentrationslager Juden folterte und tötete. Unterhaltung welche auch als Theater sicher gut funktionieren würde. دورنمات قشنگ حرف میزنه،حرفهای قشنگی هم میزنه اما داستانهای خوبی نمینویسه. از قاضی و جلادش هم ناامیدکنندهتر بود،صرفا سخنرانی پشت سر هم شخصیت ها در مورد خیر و شر و بشریت و ایدئولوژیهاشون بود. دورنمات قشنگ حرف میزنه،حرف‌های قشنگی هم میزنه اما داستان‌های خوبی نمینویسه. Wer sich einen Krimi erhofft hat sollte dieses Buch nicht lesen! Es ist ein Klassiker, der sich zwar mit einem Verbrecher auseinandersetzt, sich aber mehr auf die Motivation hinter dem Verbrechens konzentriert, anstatt einem spannenden Aufklärungsprozess. Ein unglaublich toller Klassiker. Er setzt sich stark mit dem Thema Freiheit auseinander, zeigt wie sich die Vorstellung von Freiheit individuel unterscheidet und stark vom eigenen Glauben, Moral und Ethik abhängig ist. Dabei werden zwei gegensä Wer sich einen Krimi erhofft hat sollte dieses Buch nicht lesen! Es ist ein Klassiker, der sich zwar mit einem Verbrecher auseinandersetzt, sich aber mehr auf die Motivation hinter dem Verbrechens konzentriert, anstatt einem spannenden Aufklärungsprozess. Het lijkt wel of Leonard Cohen op de cover staat van het boek. Excellente taal, maar een perfect huwelijk van literatuur met detective is niet evident. Heel wat verwijzingen naar mythologie, ethiek, geschiedenis en de bijbel kunnen een schat aan vragen en meningen opleveren voor een discussie in een leesclub. عـشـق به وطــــــن هنوز هم یکی از بهترین عـشـق هاست. كثيرًا ما أميل لقراءة التعليقات ذات التقييم المنخفض. مع هذه الرواية لم أفهم لِمَ يوجد أكثر من تعليق - كلها أجنبية - بأن الرواية ليست بوليسية! ربما تكون تعليقات لبعض السطحيين ممن لم يدركوا المحاور الثلاثة في الرواية! أولًا يجب الإقرار بأن الحبكة الروائية كانت غاية في السذاجة خاصة وأن الكاتب آثر استخدام أسلوب الروايات البوليسية لعرض فكرته. 1- التحليل النفسي للأشخاص وإظهار الدوافع النفسية التي دفعت كل فرد للقيام بدوره. 2- عقدة الرواية والتي يحلها اليهو كثيرًا ما أميل لقراءة التعليقات ذات التقييم المنخفض. مع هذه الرواية لم أفهم لِمَ يوجد أكثر من تعليق - كلها أجنبية - بأن الرواية ليست بوليسية! ربما تكون تعليقات لبعض السطحيين ممن لم يدركوا المحاور الثلاثة في الرواية! 2- عقدة الرواية والتي يحلها اليهودي - ذلك المظلوم الذي تعرض للاضطهاد في معتقلات النازية ووهب ما تبقى من حياته لنصرة المظلوم قدر استطاعته.. فيقول عنه في مشهد الختام: "ولم يعد باديًا منه إلا كتفيه ورأسه العارية القوية، وكان وجه القزم الهرم بجانب وجنته اليسرى، بينما كان البدر يظهر على الناحية الأخرى لرأسه الضخم، كما لو أن اليهودي يحمل كل العالم على كتفيه، العالم والإنسانية." 3- النظرة الفلسفية الوجودية والإلحادية والتي لا ترى إلا الحرية الفردية لتكون تلك الحياة الواحدة سعيدة! "كانت الحياة وقفة على المسرح، والموت عبارة رنانة، والدفن إعلان، والأمر كله تجارة، وانتهى الأمر." "لقد اختلط الخير والشر اختلاطًا شديدًا في ليلة زفاف إلحادية بين الجنة والنار، زفاف أنجب هذه الإنسانية، وحتى يُفصلا من جديد عن بعضهما البعض، وحتى يُقال هذا حسن وهذا سيء، هذا يؤدي إلى الخير وهذا يؤدي إلى الشر فقد فات الأوان، وأصبح الوقت متأخرًا جدًا، لم نعد نستطيع أن نعرف ما نفعله، أي التصرفات تعني الطاعة وأيها يعني العصيان، أي استغلال وأي جريمة تلتصق بالثمار التي نأكلها، وتلتصق بالخبز واللبن الذي نعطيه لأبنائنا، إننا نقتل دون أن نرى الضحية ودون أن نعرف عنها شيئًا، وسوق نُقتل دون أن يعرف ذلك القاتل، الوقت متأخر جدًا." "إنه لمن العبث أن تؤمن بالمادة وتؤمن في الوقت نفسه بالإنسانية، لا يمكن للإنسان أن يؤمن إلا بالمادة والأنا، فلا توجد عدالة، كيف تكون المادة عادلة، لا توجد إلا الحرية، التي لا يمكن أن تُعطى استحقاقًا، وإلا لوجب وجود عدالة، والحرية لا يمكن أن تُمنح، فمن الذي يمكن أن يمنحها؟ بل يجب على الإنسان أن يأخذها قسرًا." "لا يجب محاولة إنقاذ العالم كله، بل اجتيازه، هذه هي المغامرة الوحيدة الحقة الباقية لنا في هذا الوقت المتأخر." این داستان، بر خلاف نخستین رمان پلیسی دورنمات، قاضی و جلادش، معمایی نبود و از همان آغاز، جنایتکار را معرفی می کرد. جذابیت این داستان، بیشتر در تعلیق و شخصیت پردازی بود. دیدگاه های فلسفی هر کدام از شخصیت ها نیز جذاب بودند و می توان گفت سوء ظن، بیش از هر چیز رویارویی چند فلسفه بود. تنها کاستی داستان از دید من، نامعلوم ماندن سرنوشت زنی است که معشوقه شخصیت منفی داستان بود. Ik weet niet wanneer het predicaat ‘literaire thriller’ zijn intrede heeft gedaan, maar feit is dat regelmatig boeken verschijnen waaraan het door de uitgever gretig wordt toegekend. Zelf ben ik in dit genre weinig bekend, dus ik kan niet oordelen in hoeverre zo’n kwalificatie terecht is, maar ik heb een donkerbruin vermoeden dat de invloed van de marketingafdeling groot is. Friedrich Dürrenmatt schreef De verdenking lang voordat er zo kwistig met dit soort predicaten werd gestrooid. Nochtans zou Ik weet niet wanneer het predicaat ‘literaire thriller’ zijn intrede heeft gedaan, maar feit is dat regelmatig boeken verschijnen waaraan het door de uitgever gretig wordt toegekend. Zelf ben ik in dit genre weinig bekend, dus ik kan niet oordelen in hoeverre zo’n kwalificatie terecht is, maar ik heb een donkerbruin vermoeden dat de invloed van de marketingafdeling groot is. Friedrich Dürrenmatt schreef De verdenking lang voordat er zo kwistig met dit soort predicaten werd gestrooid. Nochtans zou dit boek het predicaat zonder enige twijfel toekomen. Bijzonder vernuftig, en met schijnbaar speels gemak, creëert Dürrenmatt in een bestek van zo’n 150 pagina’s een fascinerend verhaal waarin een oude rechercheur, Hans Bärlach, bij wie ‘werd geconstateerd dat hij inderdaad de hopeloze ziekte had die men had vermoed’, een verdenking opvat dat ene kamparts Nehle nog leeft, eigenlijk een ander is, en een dure privékliniek in Zürich runt. ‘’Alle mensen zijn gelijk. Nehle was een mens. Nehle was dus zoals alle mensen.’ Dat is een perfide syllogisme, maar niemand kan er iets tegen inbrengen,’ zegt een van de personages, de joodse reus Gulliver, een surrealistische figuur, wiens verschijnen en handelen niet passen binnen onze rationele kaders. Tegenover de reus treedt in dit verhaal ook een dwerg op, die doet denken aan de huis-elf Dobby uit de Harry Potter boeken (met dien verstande dat Dürrenmatt J.K. Rowling enkele decennia voor was, uiteraard). Zelfs het gegeven dat de dwerg eerst de kwade genius dient, en tot slot wordt bevrijd door de goede genius is een parallel met J.K. Rowling. Enfin. Zoals het ‘perfide syllogisme’ aanduidt, gaat het in dit boek (onder andere) over goed en kwaad, over het universele ervan, het onontkoombare ervan. ‘Vrijheid is de moed om misdaden te begaan, omdat ze zelf een misdaad is,’ zegt de beul waar Bärlach jacht op maakt. ‘Wij kunnen als eenlingen de wereld niet redden [….] Wij kunnen alleen incidenteel helpen, niet in het algemeen. […] We moeten dus niet proberen de wereld te redden, maar proberen de wereld te doorstaan, dat is het enige waarachtige avontuur dat ons in deze late tijd nog rest,’ zegt de reus Gulliver. ‘Het sterven van de armen is één, het sterven van de rijken en machtigen is iets anders, en daartussen staat een wereld, namelijk die waarin de bloedige tragikomedie tussen de zwakke en de machtige zich afspeelt,’ zegt dokter Markov, het hulpje en tevens de geliefde van de beul, weer zo’n ‘larger-than-life’ personage, die zich met morfine (‘die ik mezelf toedien en die me overdag de moed tot hoon en ’s nachts mijn dromen schenkt’) op de been houdt. Dürrenmatt gebruikt religieuze thema’s, de klassieken, verwijzingen naar literatuur en kunst, alles zonder dat het maar een moment pronkzuchtig wordt, om zijn verhaal naar een hoger plan te tillen. De al te menselijke, prettig koppige en vasthoudende rechercheur belandt voor de ontknoping van het verhaal in een bijna onwerkelijke, met spiegels behangen behandelkamer, waar het klamme zweet zowel het personage als de lezer uitbreekt. Even verbaasd als verrukt las ik "De verdenking" van Dürrenmatt, een boek vol sardonisch schrijfplezier en zwartgallige verrassingen. Een detectiveverhaal dat spot met alle wetten van het detectiveverhaal, en dat feitelijk een even groteske als filosofische verhandeling is over een wereld waarin het redeloze kwaad regeert en ratio geen rol meer speelt. Niet voor niets is de detective in dit verhaal een doodzieke, die zijn verhoor afneemt vanaf een ziekbed in een surrealistisch bizarre sterfkamer Even verbaasd als verrukt las ik "De verdenking" van Dürrenmatt, een boek vol sardonisch schrijfplezier en zwartgallige verrassingen. Een detectiveverhaal dat spot met alle wetten van het detectiveverhaal, en dat feitelijk een even groteske als filosofische verhandeling is over een wereld waarin het redeloze kwaad regeert en ratio geen rol meer speelt. Niet voor niets is de detective in dit verhaal een doodzieke, die zijn verhoor afneemt vanaf een ziekbed in een surrealistisch bizarre sterfkamer. Niet voor niets ontaardt dit verhoor in een fascinerende dialoog met een gewetenloze folteraar, die de speurder vraagt naar zijn geloof. En niet voor niets antwoordt de speurder daarop met veelzeggende stilte: hij zwijgt, en luistert alleen naar de klok, en het wegtikken van de laatste minuten van zijn leven. Het verhaal verloopt volkomen bizar: de doodzieke en bijna gepensioneerde speurder Barlach komt op het spoor van een gewetenloze Nazi-beul die zonder narcose pleegde te opereren, en manoeuvreert zich dan in de kliniek waarin die beul onder andere naam nog steeds zijn beulswerk doet. Alle vernuftigheden van de speurder falen hopeloos: dat de beul niettemin toch zijn trekken thuis krijgt komt alleen door bizarre interventies van een reusachtig hallucinatoir spook dat alle in de holocaust gedode Joden in zich lijkt te verenigen, en door hulp van een groteske dwerg. Ongelofelijk wat voor teksten Dürrenmatt in de mond legt van dit spook, en fascinerend hoe hij dit spook neerzet als een groteske verschijning die weliswaar de folteraars vernietigt maar toch net als die folteraars uit de wereld van het redeloze afkomstig is. Dus nee, er is geen sprake van dat alles goed komt dankzij het vernuft van een Poirot-achtige speurder. Te meer omdat onze speurder wel Poirot-achtige trekken heeft maar daarnaast een voor detectives toch wel heel ongewone morsigheid vertoont. Wel komt deze speurder tot enorme verbale en intellectuele krachtmetingen met de folteraar, maar daarin is vooral die folteraar eloquent: die komt uit de hoek met even lugubere als strak opgebouwde beschouwingen over de redeloosheid van de wereld waarin alleen het toeval regeert, waarin goed en kwaad onontwarbaar zijn verknoopt, waarin elke strijder voor gerechtigheid niets meer is dan een clowneske Don Quichotte, en waarin alleen de folteraar volkomen vrij is omdat die zich buiten elke maatschappelijke orde plaatst. Zijn assistente en geliefde heeft ons eerder al verbijsterd met haar inzicht dat de slachtoffers van de folteraar, waar zij er een van is, steeds hebben ingestemd met de foltering: uit volstrekt redeloze hoop. Een feit dat haarzelf zo enorm vertwijfelt dat ze elke dag een shot verdovende morfine nodig heeft, maar niettemin volgens haar een onweerlegbaar feit dat ze met kracht van argumenten toelicht. En tja, daar ligt dan speurder Barlach: een uiterst welbespraakte logicus, zo weten we, met een bewonderenswaardig talent voor sardonische oneliners en voor het filosofisch en juridisch debat. Maar hier ligt hij dodelijk ziek op zijn rug. En is hij uiteindelijk totaal sprakeloos.